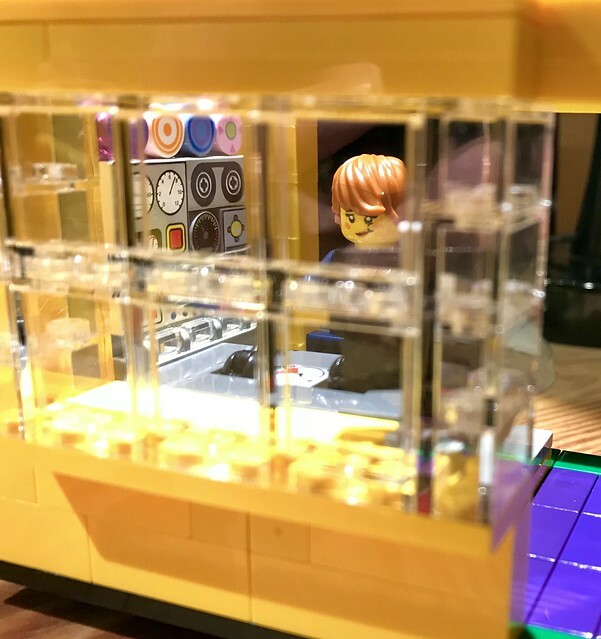 Do you know the feeling when having a great LEGO€ set on your shelf but having the feeling you have to make something with it more the let it be covered with dust? 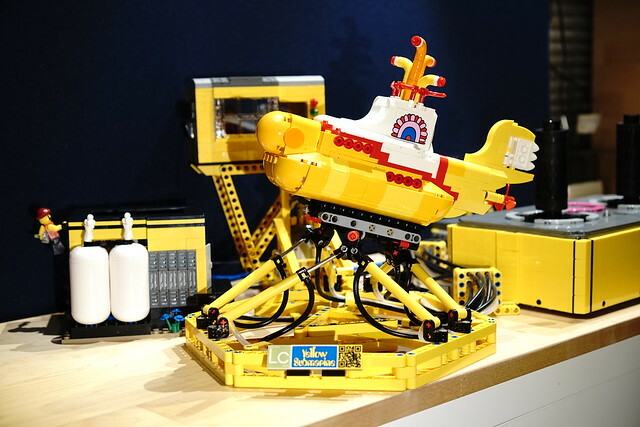 That was my feeling with LEGO® Ideas Yellow Submarine (LEGO 21306) *. 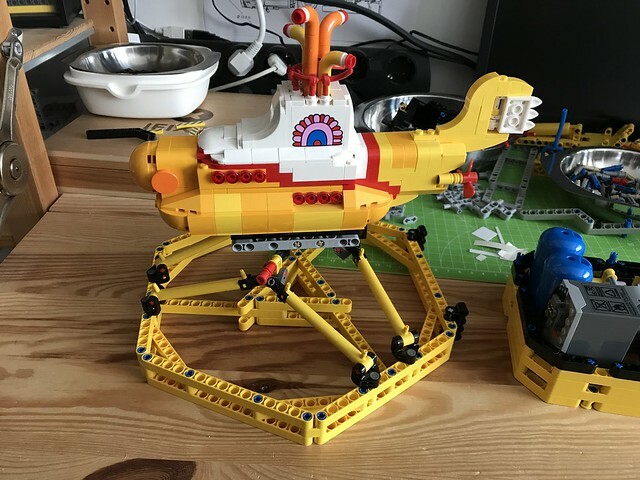 So I bought the submarine set shortly after its release. But somehow I found its a shame to let the ship get dusty on the the sideboard. 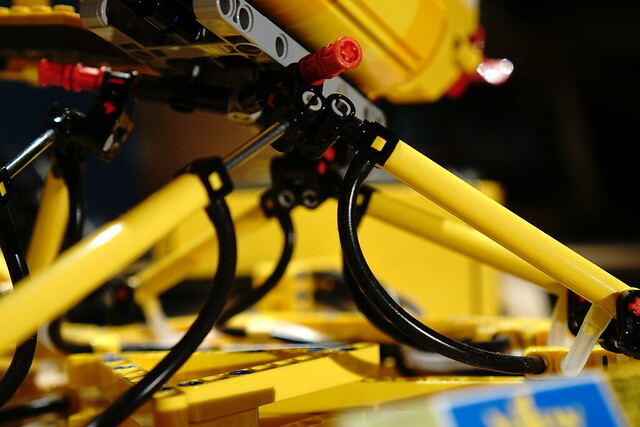 At some point after a long rumble around I had an idea – there must be a way to build something with it and Technic and Pneumatic. Actually, I just wanted to build a proof of concept in the form of a working Stewart Platform, but you know how it is: Once you started there’s no turning back. Next: The controller. 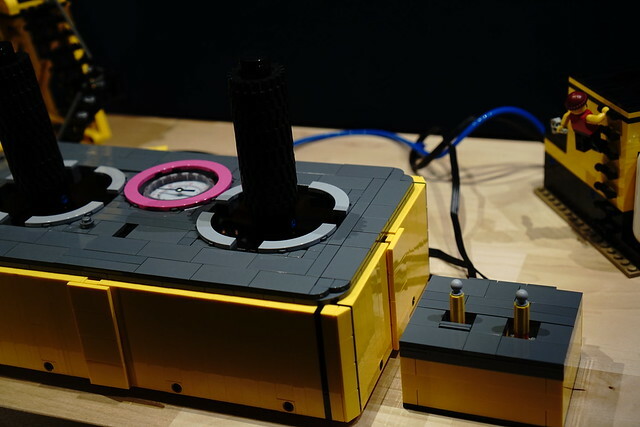 Some Bionical parts were very helpful for the joysticks. All the rest is simple mechanics and Pneumatic. The housing I created in Stud.io (and I learned: One always has to order 10% more parts than planed – you’ll rebuild you creation in some way soon). The actual platform was already finished as the compressor housing was. But somehow it didn’t liked how it looked. The compressor housing was made of Technic Beams. Once again I sat down. 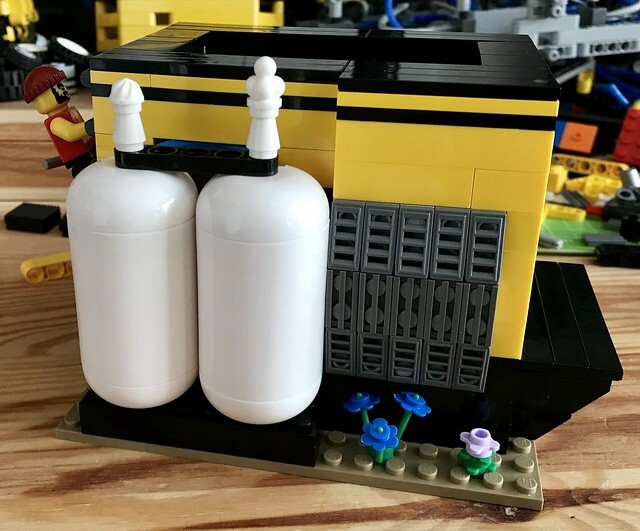 Now I built a nice looking housing with bricks and a few more details. 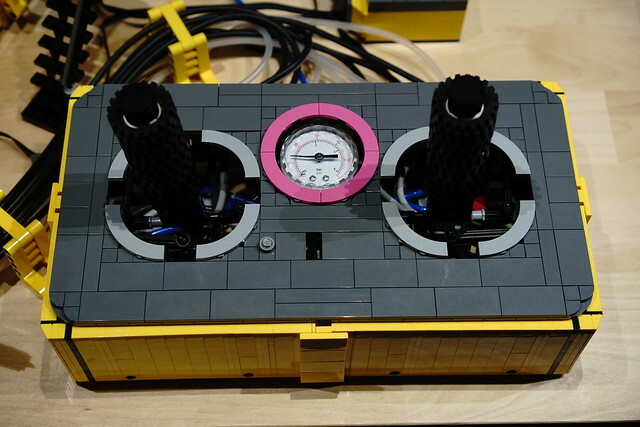 As we are with building with system bricks … I just built a control room for my female engineer. Just before the finish I noticed that the battery box must still be placed somewhere. So I had to rebuild the control panel again. Now with hidden LiPo. Then I needed two switches. They had to go into an external housing as in the console itself there was no more space.